Exactly as promised, stunning addition to my dining room. The Swarovski crystals sparkle in the sunlight and glisten after dark when the shades filter the light from the chandelier itself. So happy with this purchase. Installation was a breeze. 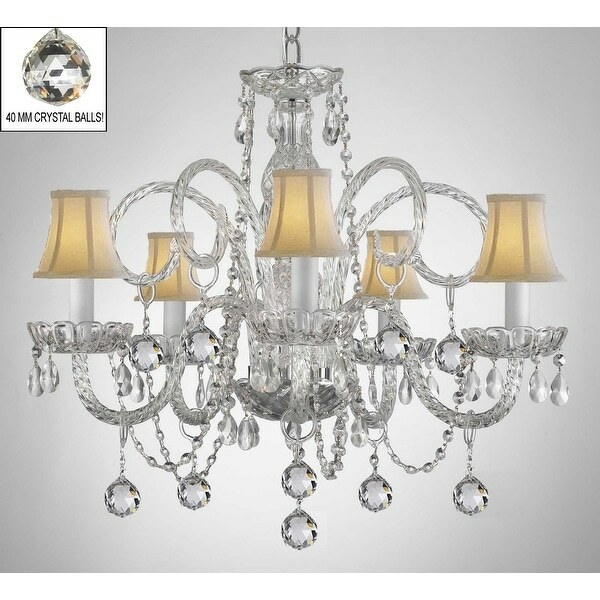 This beautiful Chandelier is trimmed with SPECTRA(tm) CRYSTAL _ Reliable crystal quality by Swarovski�! Looks beautiful. Took about 2 hours to put together. 30 minutes to hang. Instructions could be clearer. It arrived with some broken and missing parts, but customer service replaced them quickly without any issue.